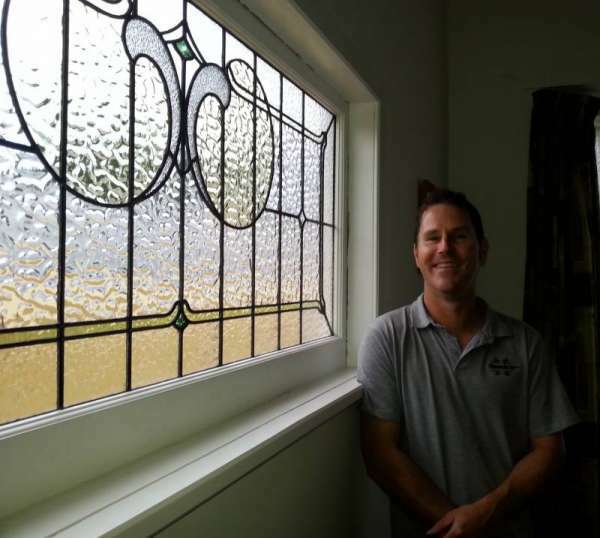 “We have just had a beautiful stained glass window designed and installed by Glass Arts. We are so delighted with the result. We visited the showroom in Kingsland and were greeted by Yvette who was very friendly and helpful showing us some examples of their work. Ian came to our home to help us come up with a design that would suit our room and home. Ian listened to our needs which was to create an elegant and beautiful art work which gave some privacy but still allowed light into the room. Ian gave great advice shared his ideas. Ian was so helpful and friendly. This made it easy to work with him in coming up with the perfect design for us. We are so in love with our window. It has many moods and the colours change during the day depending on the time of day and sunlight.